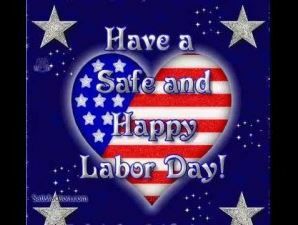 Good Morning and a Happy Labor Day to all!! We have all earned a day off. A day to sit back and enjoy the company of our family and possibly neighbors as well. Most people in 2016 are working harder than ever for the same amount of things they have always had. I heard a report on NPR (national public radio) this morning that said the average income rose by 2.7%. But they also pointed out that, you cannot go out and buy a whole lot of extras with that kind of increase. In fact, with the rate of inflation it is clear that most people are doing something monumental by holding on to what they have. And maybe that is what we should start focusing on. Looking at what we already HAVE instead of trying to chase that carrot dangling in front of our faces. We all know that carrot. The one that shows up in the form of the latest fad that is all the rage. Because the truth of the matter is the average person WILL go broke trying to chase after all those new things. While the poor get poorer , the rich are getting richer. But we have the power to stop that in its tracks. This does not take all that much willpower as it does a shift in how we socialize. Maybe we should “bring America back”. Back to the days when holidays were focused on what everyone could MAKE for food to place on the table to share. Back when food and drink were had at people’s houses instead of the local sports bar. Now I am not slamming sports bars, but there is nothing personal or intimate about that type of setting. Really funny stories and personal experiences happen when people feel they are among true friends. And there is no time limit on how long you can be around your true friends. It will also not increase the tab at the bar for every drink or bite of food you have. Let’s all work smarter not harder for the remainder of 2016 ! This includes working on what is REALLY important in our lives. Making our relationships with family and friends our number 1 priority! !